This easy Lemon Pancake recipe is everything you'll want to eat for breakfast or dinner. 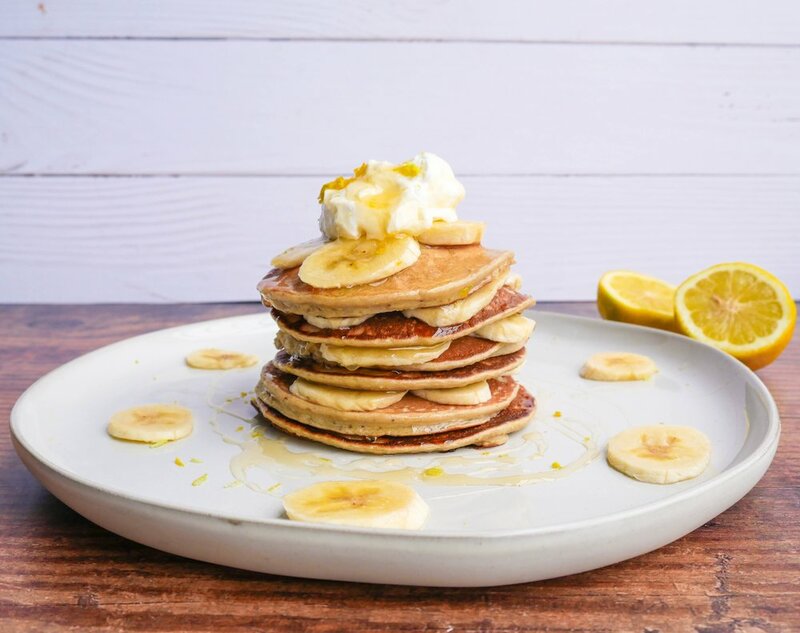 These pancakes are light and fluffy and the fresh lemon juice in the pancakes create a burst of flavour. Top with banana, maple syrup, yogurt or lemon zest. Lemons are PACKED with numerous health benefiting nutrients. They are rich in vitamin C, which strengthens the immune system of the body, and second, it works as an anti-oxidant. Lemons increase peristalsis in the bowels, helping to create a bowel movement thus eliminating waste and helping with regularity. Add the juice of one lemon to warm water and drink first thing in the morning.For more recipes that contain lemon, check out the 5adayNZ website. In a blender mix the bananas, flour, eggs, oats, milk, cinnamon, baking powder, lemon juice, lemon zest. Heat a skillet or frypan on medium heat, and add 1 teaspoon of oil. Once the oil has melted, pour 1/4 cup of the mixture into the pan. Cook until bubbles appear on top. Flip pancakes and cook until golden brown on underside. Repeat until all the batter has been used. Serve with toppings of choice.